One day while I was looking for lesson plan ideas (of course), I stumbled upon a drool worthy stuffed chicken pesto shell recipe. 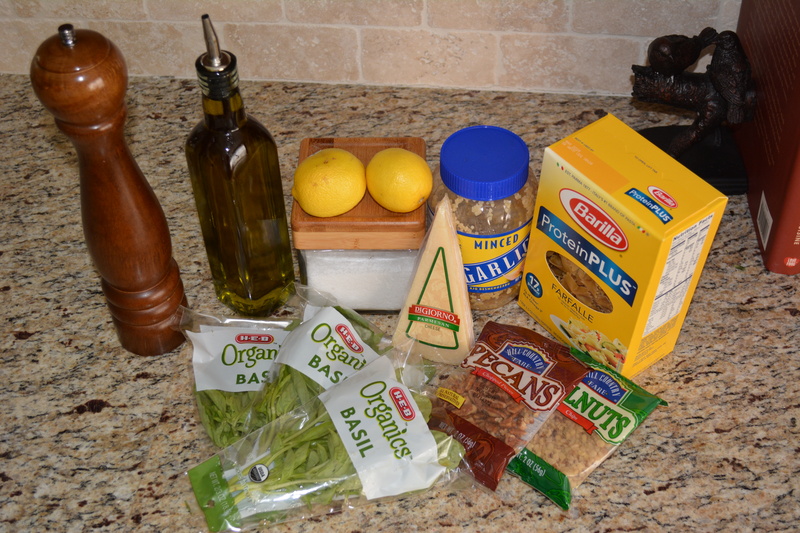 It is a fantastic recipe and on my husband’s favorite meals list. There was just one small problem, I was a poor college student and really didn’t want to pay $5-$10 for one jar of pesto. 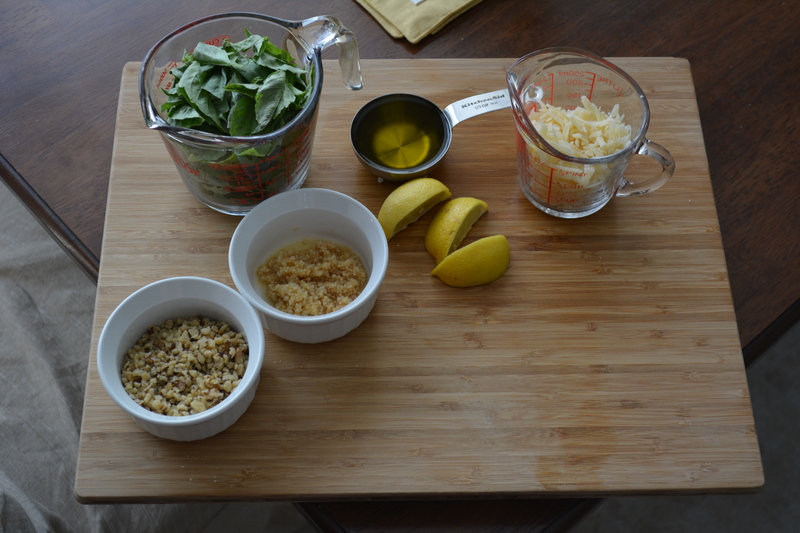 I heard Joey’s voice (from Friends) in my head “There’s gotta be a better way!” So the journey of making pesto started. Did I mention that I also used an As Seen on TV Manual Food Processor to mix all the ingredients? Just click the link and imagine my pain. This recipe was inspired by the incredible What’s Cookin, Chicago? 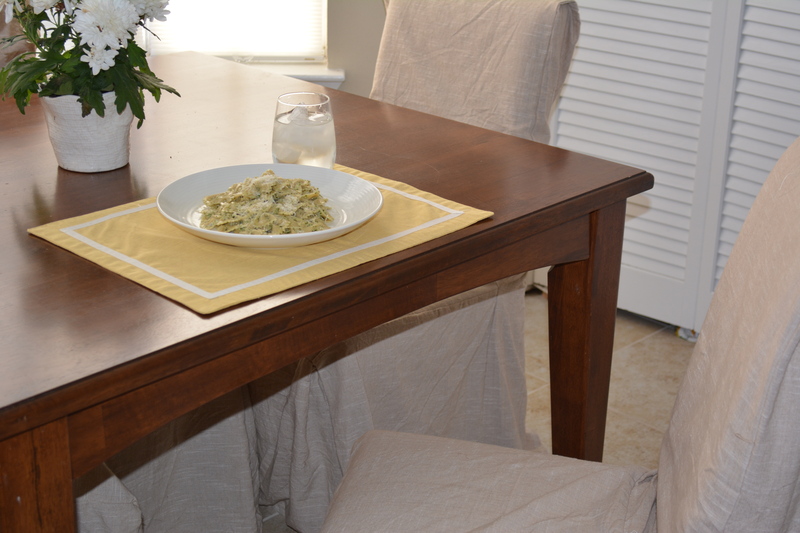 This is what you’ll need for your Pesto Pasta Party! 1. 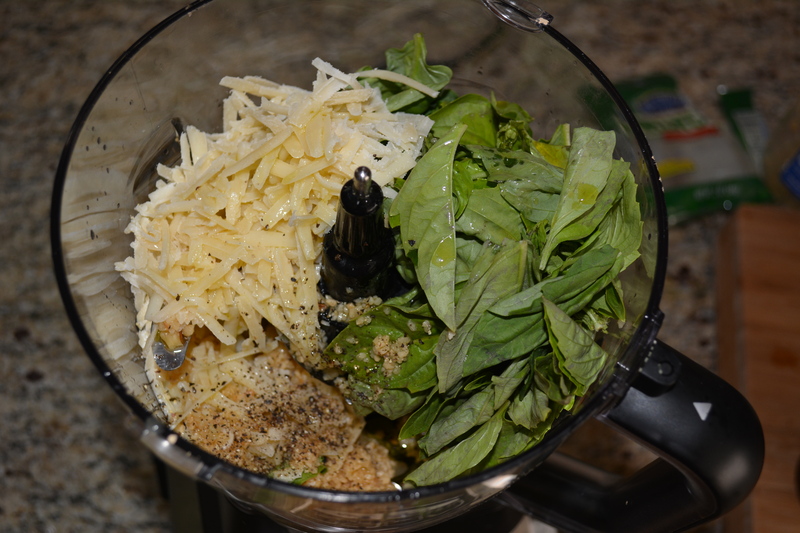 Put the basil, garlic, cheese, nuts, lemon juice, and olive oil in a food processor or blender. Blend until nearly smooth. You may have to stop and scrape the sides of your choppy machine and then continue blending. All that yumminess tends to stick to the sides! Then salt and pepper to taste! 2. Bring a large pot of salted water to boil on high heat. Yes, it’s absolutely important to salt your water first. It really does make a huge difference. Boil your pasta to al dente. Drain the pasta. 3. 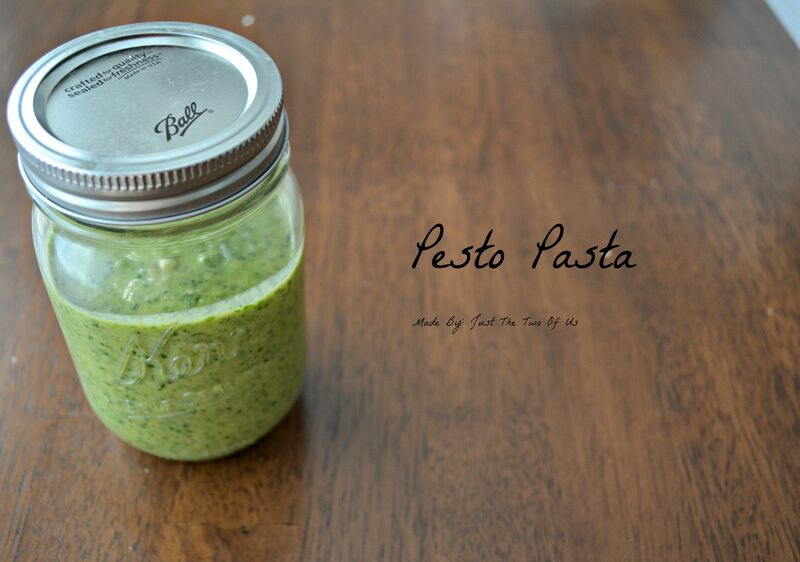 Mix in 8 Tbs of your pesto mixture and the 2 oz of cream cheese in your pasta. The cream cheese just does magical things when it combines with the pesto and the warm noodles. 4. 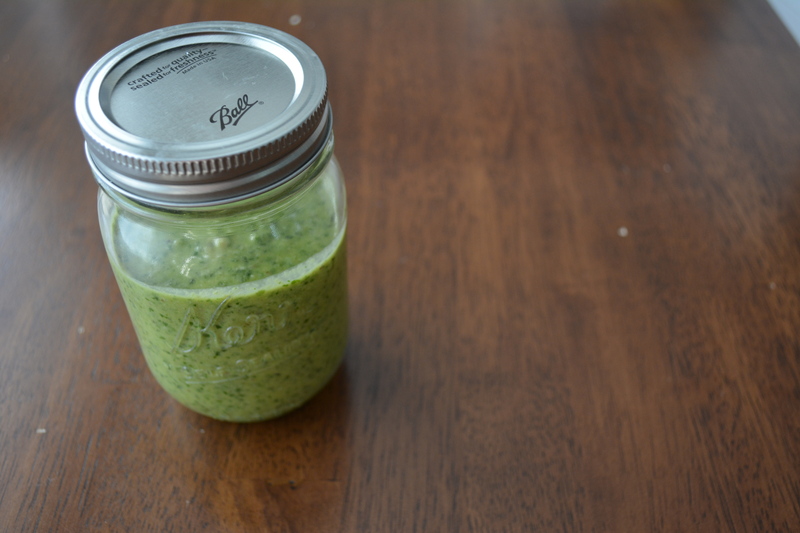 Save the rest of that pesto in your fridge! It will keep for a week or two. You can make this meal again (it’s totally OK in my book to be a meal repeater), or your could put it on a pizza, or toast, or anything and everything! The possibilities are endless! Learn About the Author of JTTOU!